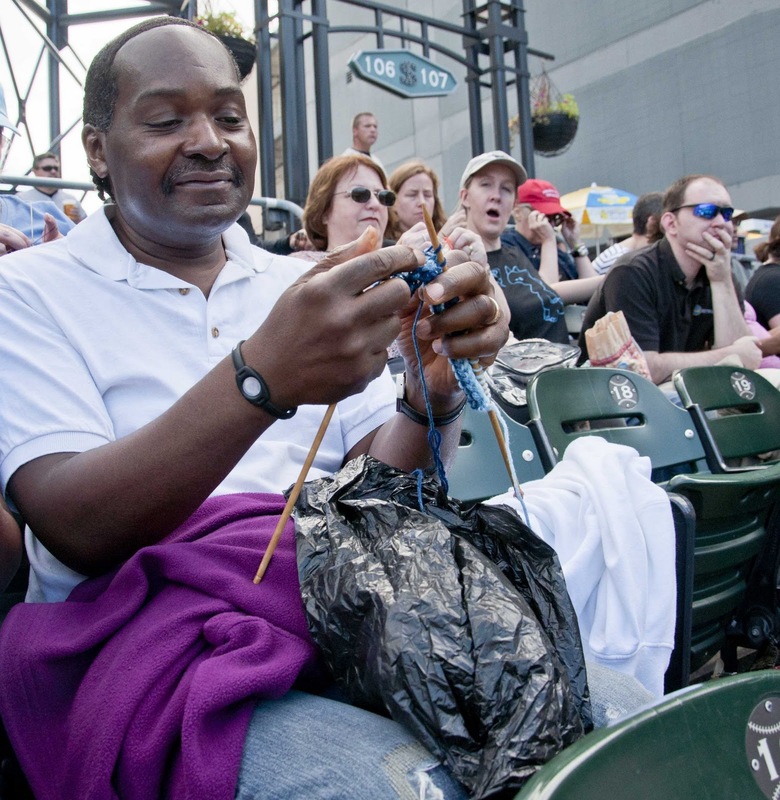 What a great splash of purple color…he seems proud to be a knitter. Nice capture of a unique event. Next Next post: Tasting Yarn and Wine!